1. 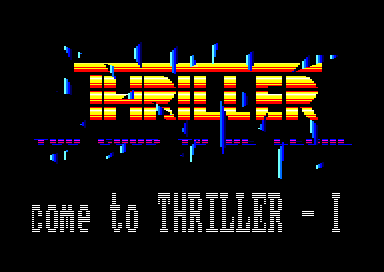 Hi Thriller! Let's start with the real life stuff.. How old are you? What are you doing for a living? Currently I work a lot: half time I work in an office for pregnant women. I do councelling and do school projects about contraception. At another half time job I’m working in an institute for empirical social research. And by the way I’m graduating. In my free time I love arts and culture, some years ago I founded a small association for free time artists. At monthly meetings we draw and paint and once in a year we open an exhibition. Sometimes I do some music with friends and, and, and... my wife is some times fed up with all that stuff! 2. Was the Amstrad CPC your first contact with a computer ? Indeed. The 6128 was the first computer I put a finger on. I still can remember the room where I did. It was the one of a friend’s father. The friend later became LTP of GOS (see below). 3. 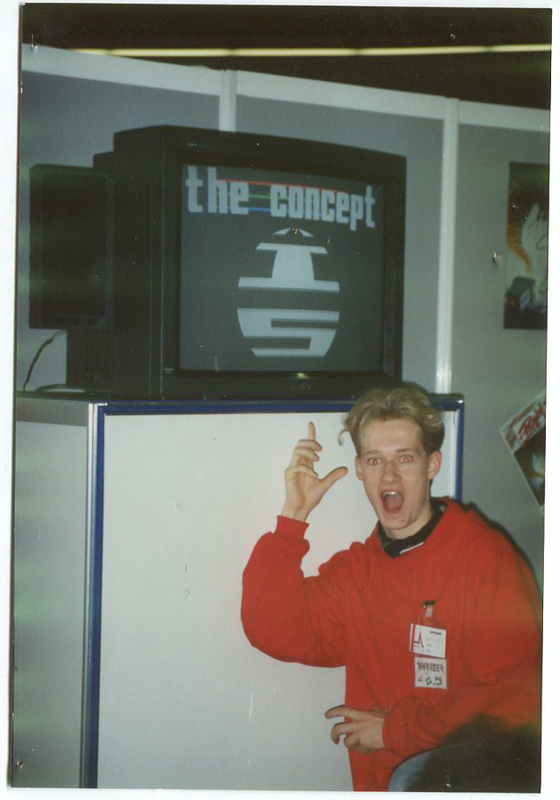 Before 1990, it was not that easy to get introduced to demoscene technics, such as rasters or split-screen programming. How did you learn those technics ? It’s hard to remember. Somehow I got a maxam assembler and somewhere I read some basics about that programming language. 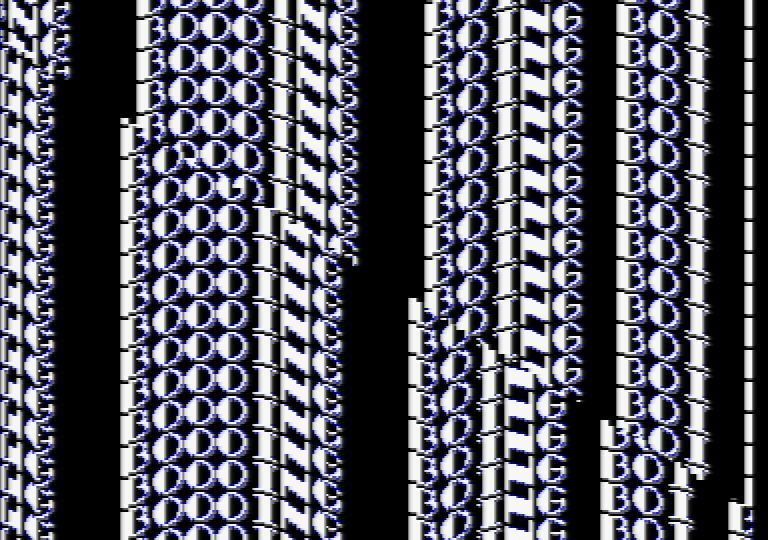 First Demostuff I learned from people of the CPC scene: easy stuff like software scrolling for example. LTP, Excalibur and me we all owned a CPC 6128 and lived in the same region. We started to visit CPC parties and there I think I often talked to other scene guys. I think that’s where I learned about these things. Especially the split screen I remember I learned from the Magician of MERLYN. I visited him at his home in a city north of Germany. We cracked up the whole night ´cause we definitively shared the same sense of humor. We were about 16 or something and his mother was so angry that she separated us at 2 o’clock in the morning. That was the weekend I learned about split screens. 4. Do you remember which development tools you used back in the time? Did you have a special hardware configuration? (ROMboard, 3"1/2 drive..). As I mentioned before i used MAXAM assembler for programming. For Graphix I used OCP Art studio of course. 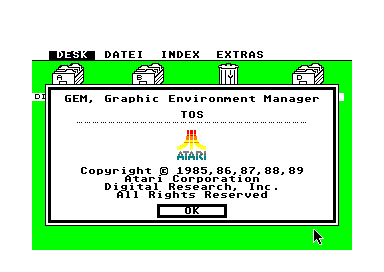 LTP owned it before I started programming. I loved to paint my favourite record covers with that tool. That was in the 1980es and we all listended to vinyl records – besides of tapes. I remember that I painted for example an LP-cover of an from the Heart rock band. 5. As a demomaker, you were first member of GOS ("Guild Of Swappers"). Why this name? What were your activities there? Was swapping synonym of piracy? Let me put it like this: We loved cpc games! ;) and then we started at the time when the graphic adventure The Guild of Thieves was released which we found awesome. So later we chose a similar name. 6. Then you created Cadjo Clan with Weee! Do you remember the context at this time? Yeah, I do. I got to know Weee! at a party in the north of Germany. I must have been 14 or 15 years old. When LTP, Excalibur and I entered the party everything seemed very silent. We seemed to "disturb the peace" because Weee! later told me when we came in everything changed somehow and he thought "now the nice party is over“. But later he and I were playing Forgotten Worlds for a long time on that party and that was how we started to get friends. Later I visited him at home and we started programming and doing music together. What we loved most was to call KNS in the night about 3 o’clock and to make fun of him! Well, I hope he has forgiven us in between! We released some demoparts together for some party demos for example. By the way: today I love the gos party demo The Revenge a lot more than Terrific Demo. My favorite of my own demos is the Arnie part with some split scrollers and Arnold Schwarzenegger faces that pull out their tongues. When I coded it I accidentally ejected the disc while saving and the code went broken. That was at Weee!‘s home – and now hold your breath: Weee! wrote a special disc code in one night to read the broken disc and bring back the code! hot guy isn't he? Only because of this these was a finished arnie-part. But some time before MegaParty Demo, Weee! and I decided to do a complete megademo. We needed a name. That day Chris was wearing a sweater signed Gadjo Clan. 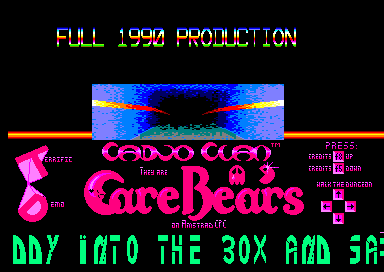 We misread it, named ourself Cadjo Clan and noticed the mistake years later yet. 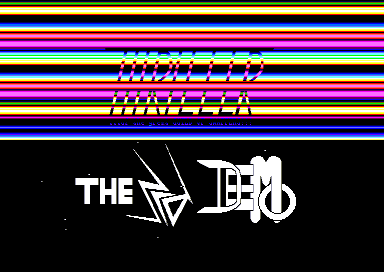 If I remember it correctly Terrific Demo was released before all these other demos. It wasn’t exactly the first one I’ve seen but The Demo for example was released later. Wasn't it? In any case it was not a reaction to other CPC megademos. 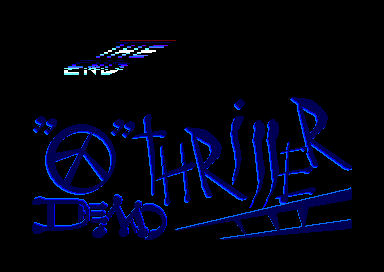 We’ve seen some megademos at other systems like Commodore Amiga or Atari ST and we wanted to do something similar. Weee! and I wrote all parts. Weee! also wrote the disc routines. I remember that we were coding the last parts short time before X-mas and my older sister visited us at home but I had no time for her because I had to finish the demo. 8. What were your best memories of your past Amstrad CPC activities? When my first split screen scroller worked I was dancing through our house after midnight! That was an amazing moment. I only had seen one other not released split screen scroller before and it seemed to me like a miracle because in that time there were only slow and blurry software scrollers. Another great party was the Euro Meeting 1 in Reims. that was the 1st foreign journey with my 1st own car. Excalibur, Weee!, LTP, BSC and I went together. I could not sleep in Reims because I had too much coffee and on the way home we were that exhausted that we nearly got into a fight – at 1st with passengers along the road, - later among ourselves. but everything went ok... sounds horrible somehow. but it wasn’t! We were all good friends, and we were just about 18 or 19 years old. What makes me sad sometimes is that Weee! and I wanted to code a new paint program (with a german working title Mal Mit Mir which we found very, very funny!) but we never finished it. It would have been too much work and we finished school that time. But it would have been a cool project. Another thing would have loved to finish was the intro for the game Killing Fist. I had finished a lot of the code but our graphist did not finish the pictures. So the whole thing fizzeled out. 9. What were your computing activities after the CPC in 1991? Did you pursue programming on 16 bits machines ? (Atari, Amiga and the likes). No, I never owned a 16 bit. After finishing school my computer activity changed a lot. It took about 10 years until I started programming again. I was hired as a working student in a big German company and programmed an SQL database. I never again did some demos or similar stuff. For research I program some statistic tools and that sometimes reminds me where it all began: in that chamber of LTP’s father with the CPC 6128. 10. Did you participate to some meetings at the time? Please tell us more about those experiences. Well, I think I chatted about parties most of this interview text. :) that might be enough. Hope it doesn’t bore you? 11. CPCWiki (http://www.cpcwiki.eu/index.php/Cadjo_Clan) mentions you made an Audio-project in the early 2000s, conjointly with Weee!/Cadjo Clan. It's amazing! Can you tell us a bit more about it ? Do you still see Weee! on a regular basis? Weee! and his friend Michael used to play synthesizers. We started to cover some Depeche Mode songs in the 1990es. I was the singer and I was horrible. But, you know...! The band was called Pink Celebration. Sounds really, really 80es, doesn’t it? Later I started to play the guitar and by that time fortunately I got some training with singing. :) Weee! and I then did some other cover songs. We did Walking in my shoes from Depeche Mode again for example and 2001 it went to a tribute sampler to Depeche Mode featuring separate other cover bands. The sampler was called Songs from fans with devotion. We tributed as Cadjo Clan which was a nice reminiscence to our CPC time. We also did a cover of the Swedish synthie pop band S.P.O.C.K. which in the beginning wrote songs about star trek. Weee! and I loved star trek. The name of the song we covered was edge of forever which is named after of the most awesome episode of the old series. At a live concert we handed over a CD with our cover song to the singer – but sadly we never got a reaction from the band. :) However, it was so much fun!! What is really nice: Weee! and I still see each other sometimes. After some years moving from town to town my wive and I settled down in the city where he lived because it’s really nice here and I had in mind to study informatics like he did. But that was a bad idea. But as I told you before – I found something else that suits me more. Often he and another friend of ours spend our birthdays together and stuff like this. Some weekends I spend working on my graduation and sometimes I go to Weee! 's place just to have some inspiration. 12. 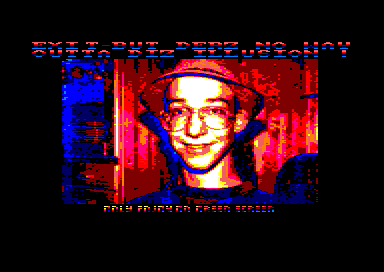 Do you still follow the Amstrad CPC demoscene? Do you have some special comments to give about it? Just once in a year I google what has happened to CPC in between and I am fascinated by all that stuff. I can’t believe what demomakers still do. Most of all I loved DemoIzArt. Some days ago I saw Star Sabre and Sub Hunter just because I read your interview with the programmer. I was like "this is no cpc stuff!“ I was very, very impressed! But I ask myself – what is the force that moves all these guys to work so hard on this very, very old system? I don’t think they all grew up with it like I did and couldn't keep their fingers from it – did they? I read about that now for the first time. Sounds extremely funny to me. But why not? Some guys try plan travelling to mars and never come back. :) Well, just kidding! I’d love to see a cpc party in 2014. Do you exchange David Whittacker tunes as mp3? 14. It's already the end of this interview. Do you have some special words to add? Thank you a million Kalle for answering those questions ! It's definitively a part of the past that gets alive once again today. Finally, thanks to CPCPower and CPCWiki for their invaluable source of information.